May 26, 2017 – The robots are here. More than 40 teams of undergraduate and graduate students from throughout the U.S., including teams from the University of Colorado Boulder and Colorado School of Mines, have descended upon NASA’s Kennedy Space Center Visitor Complex with their uniquely-designed robotic miners, in all shapes and sizes, to compete over three days in the agency’s 2017 Robotic Mining Competition (RMC). Each team’s robot traverses and excavates simulated Martian dirt, seeking to move and collect the most regolith, or simulated Martian soil, within a specified amount of time. Other RMC competition categories include submission of a systems engineering paper, slide presentation and robot demonstration. Also factored in is how well each team has reached out to its community through social media and engagement with area schools and the general public. The competition concludes today with an evening awards ceremony at the Apollo Saturn V Center. A list of winners will be available by May 30 at http://www.nasa.gov/nasarmc. 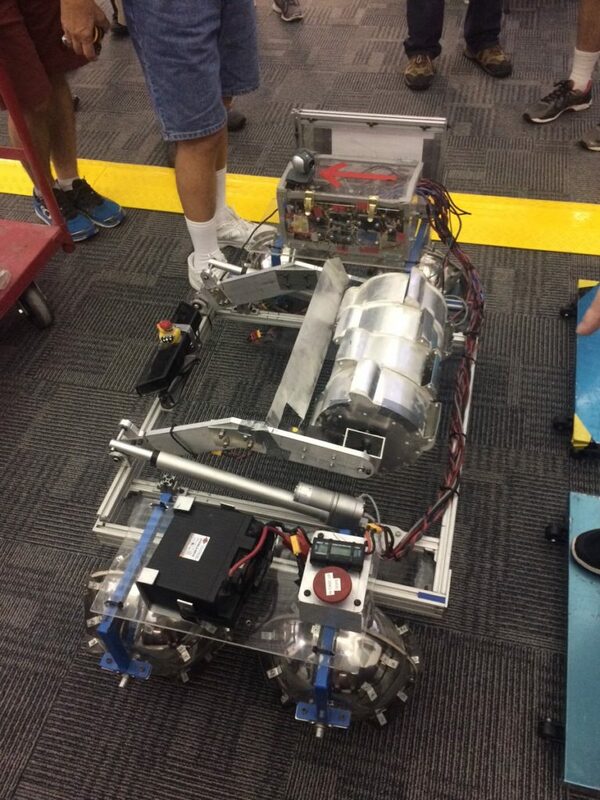 The Robotic Mining Competition is a NASA Human Exploration and Operations Mission Directorate project designed to encourage students in science, technology, engineering and math, or STEM fields. The project provides a competitive environment to foster innovative ideas and solutions that could be used on NASA’s Journey to Mars.